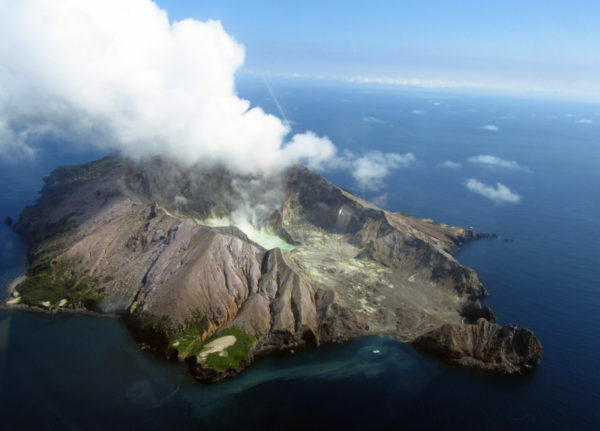 White Island / Whakaari is an active marine volcano, 48km north of Whakatane. 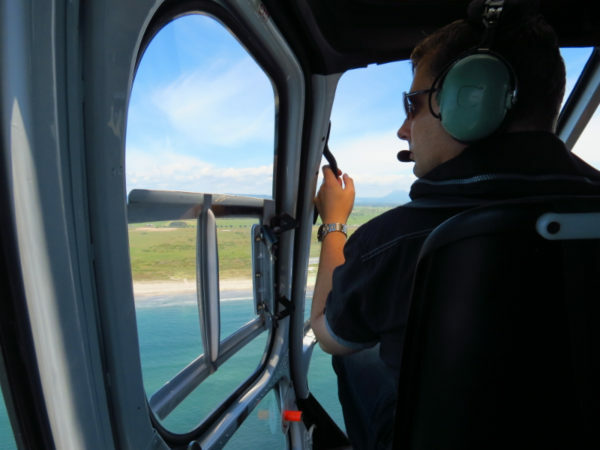 Get there two ways – by helicopter as we did with Kahu NZ (formerly Frontier Helicopters) or by boat with White Island Tours. White Island is a submerged stratovolcano, it is made up of layers of ash and lava flow and 70% of the cone sits under the sea. The volcanic vents under the water produce hot air bubbles and some fishermen have said they’ve caught precooked fish! 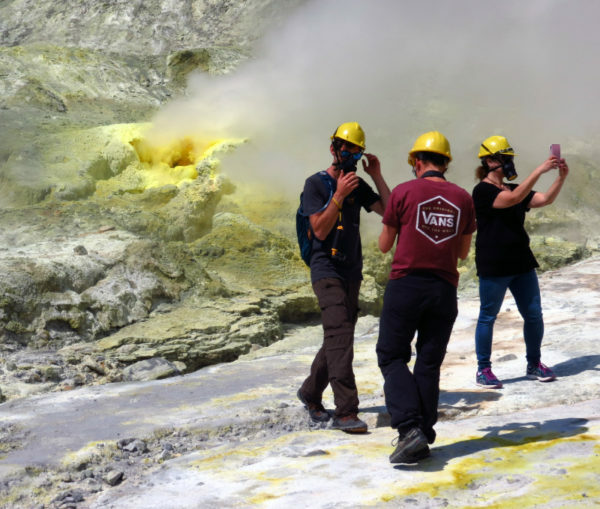 We caught a helicopter as we decided it was a once in a life time experience to visit an *active volcano so we might as well make it more exciting by landing inside the crater. 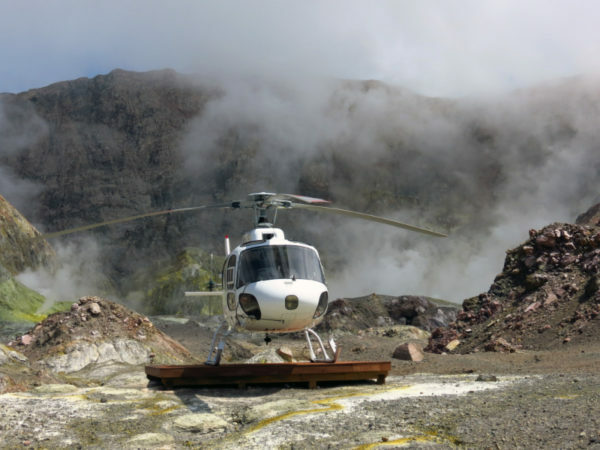 And it was exciting, helicopters are nimble machines and we swooped and swept across the landscape getting awesome aerial views of the island before landing amidst the steam and scoria. 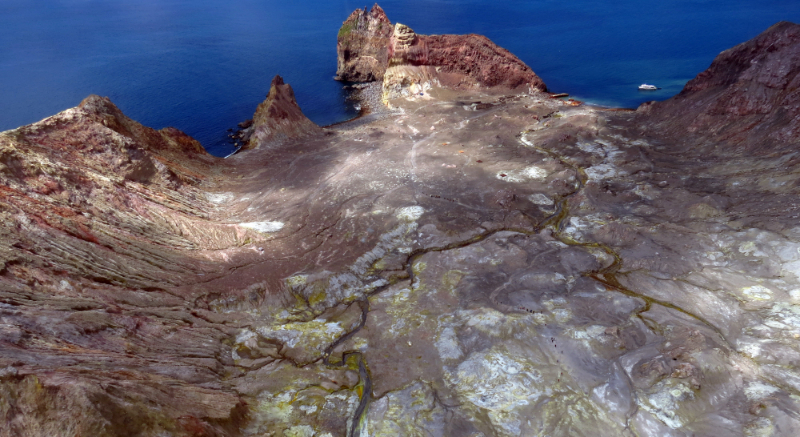 It’s a rugged landscape to land in but surprisingly White Island isn’t a physically demanding landscape to walk around. Hard hats and gas masks are standard issue though and the gas masks aren’t just an accessory. An island highlight is the acidic ice green crater lake, its north side towered over by scarred cliffs tinged in shades of red and yellow. Fumeroles along the lake edge belch steam and gas helping make the white cloud that hangs over White Island and can be seen from the mainland. Don’t take the chance to ‘live on the edge’ here, if you get too close to the crater lake and the ground gives way an acid bath equals good bye. 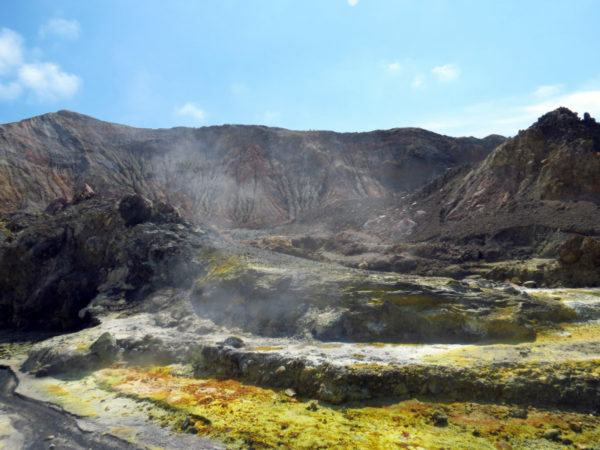 It seems unlikely given the barren landscape and acidic environment, but people once lived on White Island. Firstly local Maori who used it as a refuge in the early 1820’s to escape inter-tribal warfare. In 1838 the island was sold by Ngati Awa Chief Apanui to Phillip Tapsell for the price of two barrels of rum (or was it actually two barrels of rum?) Changes of ownership followed and interest turned to mining the sulphur (aka brimstone), and making fertiliser. The New Zealand Manure and Chemical Co started making fertiliser but after an onsite eruption, followed closely by the 1886 Tarawera eruption, the island was abandoned. Work resumed in 1898 but by 1902 it stopped again. 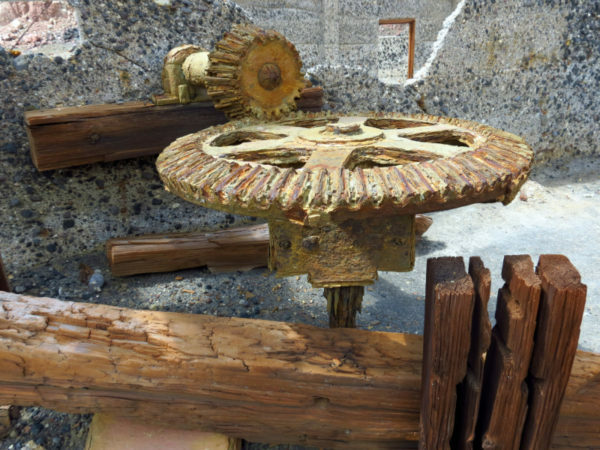 Further changes of ownership followed and in 1913 The White Island Sulphur Company built a miners camp, mine buildings and equipment. Unfortunately the island was to be the last port of call for fireman John Williams who died of burns when a retort burst. Shortly after, fireman Donald Pye went missing, all that was found were his boots. Further tragedy struck in September 1914 when part of the crater rim collapsed. The collapse sent a lahar of mud and rock through the crater which swept away almost all signs of life and all buildings. **Twelve men lost their lives, the sole survivor was a cat – Peter the Great. 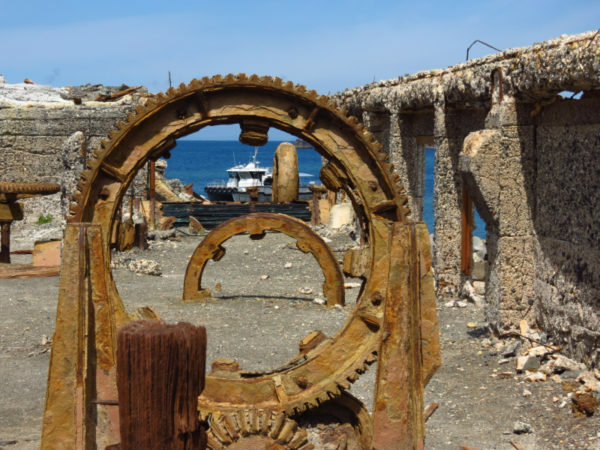 After the disaster the island was left to the elements until the 1920’s when another miners camp and factory complex were developed. As a safety measure the camp was built outside the crater on Bungalow Beach. While mining sulphur and making fertiliser didn’t turn out to be a lucrative business as touted, the island at one time had a factory and numerous buildings including a post office and guest house. The island’s cook used the sea as his pantry when the conditions allowed; and fishing was also a pastime for the workers, they also had a billiards room and library. The Great Depression of the early 1930’s along with reduced demand for fertiliser were in part why what was by now New Zealand Sulphur Co was put into receivorship. George Buttle successfully tendered for White Island in 1936 and the island continues today to be owned by the Buttle Family Trust. 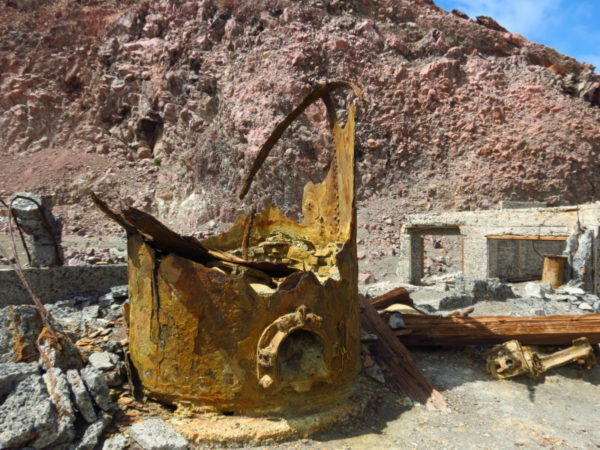 What’s left on the island now are the decaying remnants of the sulphur industry. 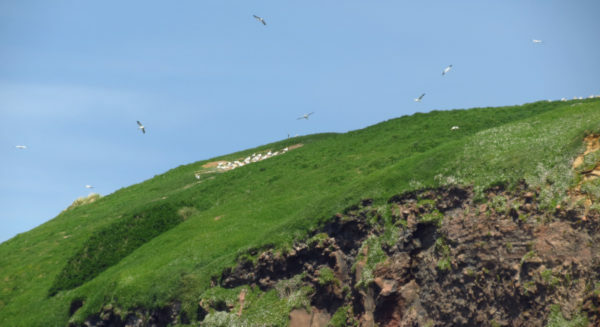 The southern coast of White Island is also home to a large colony of Australasian gannets, the island is also a breeding ground for the grey-faced petrel (North Island muttonbird). 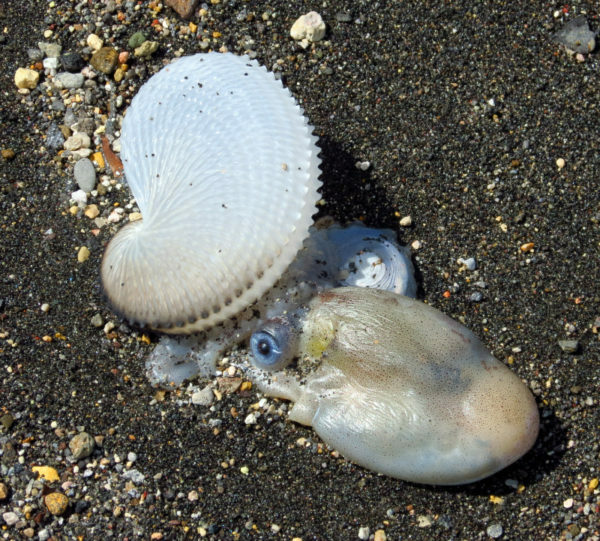 A surprise find on the hot water beach at Crater Bay was an argonaut (also known as a paper nautilus). Shortly before visiting White Island we did a wine tasting at Nautilus Estate in Blenheim and had seen a paper nautilus shell so Mike recognised them lying on the sand. I don’t think it’s that unusual to find argonaut shells washed up, but it may be to find the female argonaut along with it. The female argonaut builds the delicate and beautiful shell to hold her eggs, and like White Island, it is one of the wonders of the natural world. *What is an ‘active’ volcano? 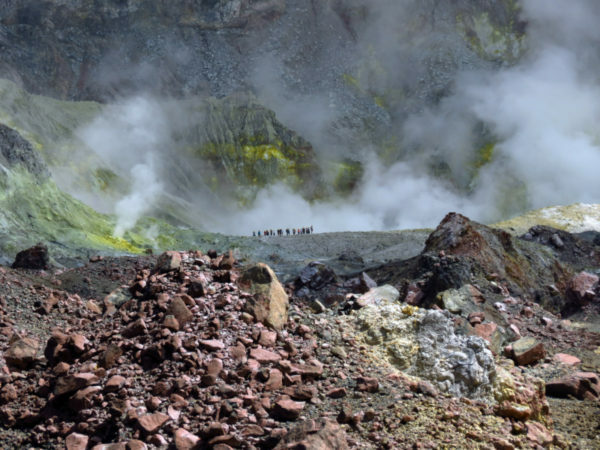 New Zealand uses a 0-5 Volcanic Alert Level, both White Island/Whakaari and Mt Ruapehu are currently at level 1 – minor volcanic unrest, all other volcanoes sit at 0. **It’s difficult to know whether it was 10, 11 or 12 men that lost their lives, different sources quote different numbers. I’ve quoted a Papers Past article from October 1914 that put the death toll at 12. 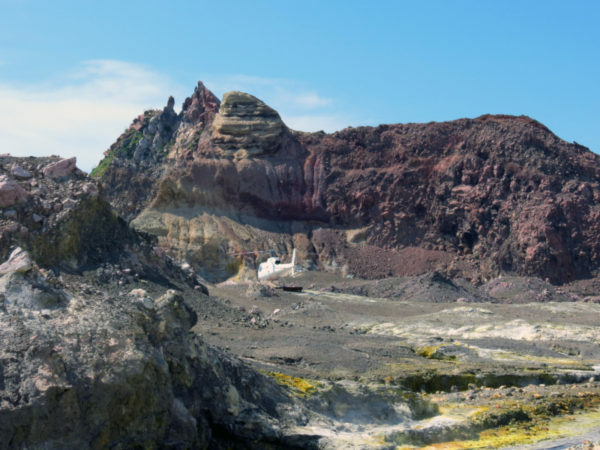 The i-SITE in Whakatane currently has a White Island/Whakaari exhibit which features a video, information panels and a scale model of the island. Island Volcano:White Island, New Zealand (1973) by WT Parham. 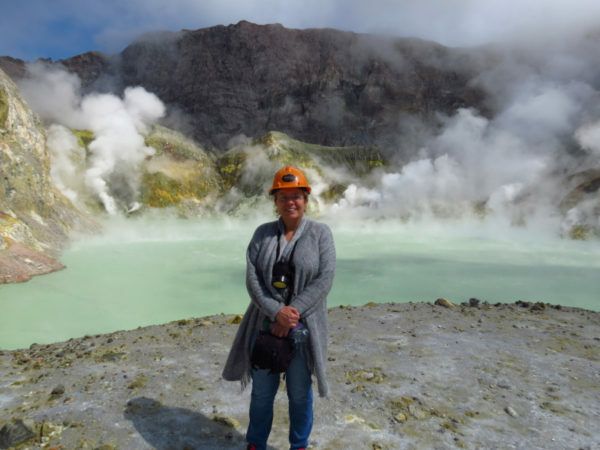 This entry was posted in Adrenalin Action, Geothermal Attractions, Mt Maunganui / Tauranga / Whakatane, Unusual New Zealand and tagged Whakatane, White Island by thecuriouskiwi. Bookmark the permalink.